Transferring data from Android to computer is the best way to ensure the safety of all files. WhatsApp has become a popular messaging app to millions of smartphone users as it helps to send not only text messages but also images. Since many users deliver private and confidential files or messages, it is essential to have a backup of this data in case of unexpected data loss. 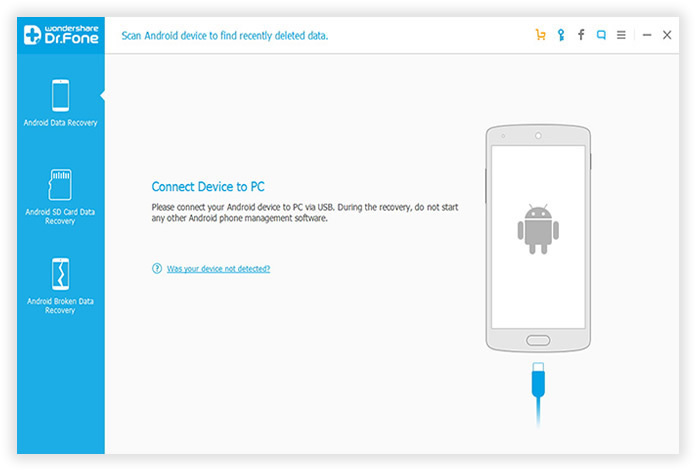 If your Android phone was lost at any time, you may recover all of them from the backup. Though the latest version of WhatsApp allows you to have automatic backup on Google, it's not an effective option at all as it takes too much of time while comparing to have all messages stored on a computer. So, there are a few programs being launched to transfer WhatsApp messages or photos from Android phone to computer. We will introduce the most popular ones in here. Please read more on the article and get all desired WhatsApp messages as well as its attachments back to PC/Mac. Download Android WhatsApp Transfer from reliable site and then run this app. You have to create a connection of your computer with Android by using USB cable. Please make sure here USB debugging is enabled on your Android device. After that, the app may automatically start reading the chat record. All WhatsApp messages are showing up under the device name. Right click on it and you can find the option 'Backup Messages'. Click this button, and there is no need of putting any password. Press 'OK' and all WhatsApp messages will be saved to the computer. With this app, you can also transfer WhatsApp messages and attachment to computer for specific contacts. Right click on the contact name and at this stage, the app will go through all messages for that account. Then, select 'Backup Messages with this Contact'. 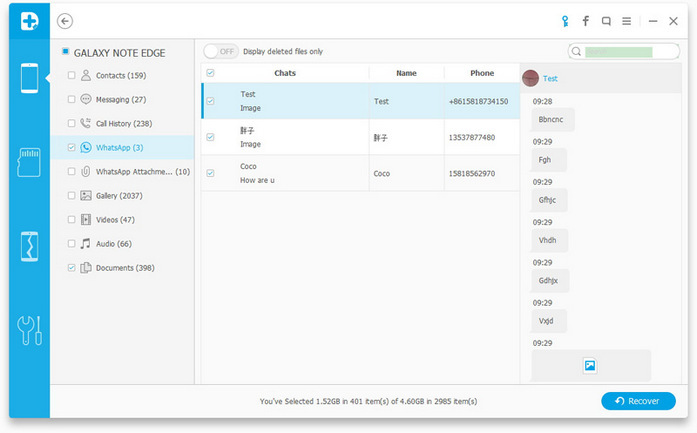 Pick any database in order to store your chat communications. To form a database, just write the name of the database. Now, when all messages are transferred to PC, you may view, take a printout or export these messages. You can choose Android Data Recovery as an alternative app for WhatsApp message transfer. It can scan all the existing WhatsApp messges and deleted messages on any Android device. So it is good to give it a try if this suggestion works fine for you. Download the app and install it on your computer. While the installation gets completed, you need to hit the 'Start' button. 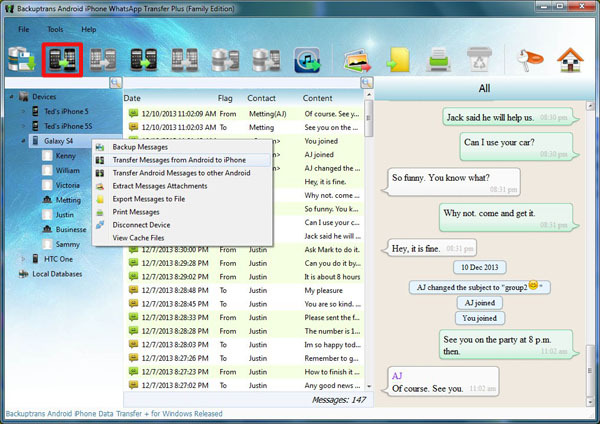 You have to make a connection to the computer in order to transfer messages of WhatsApp. 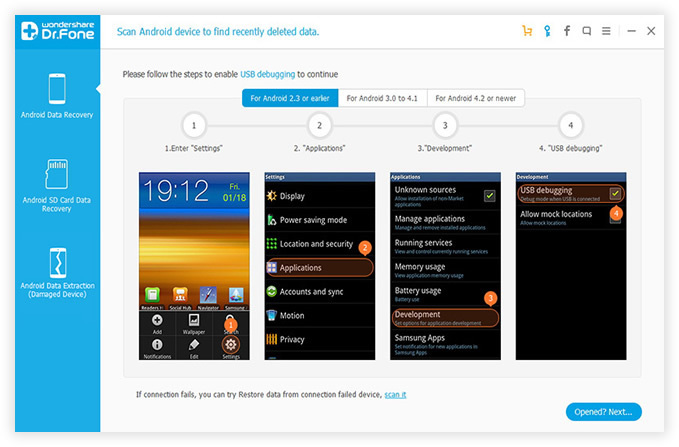 Enable USB debugging on your Android mobile and the app will detect your device. Fresh window may be seen to allow you in choosing data to be recovered. You will have to choose from Advanced Mode and Standard Mode. Standard Mode works quite better than Advanced one. Please use it at first. Click 'Start' button to start analyzing that device. When this scanning gets completed, you may backup all data or specific text messages by clicking Recover button. There are also other apps or programs you can use for WhatApp backup but the above two is the most user friendly for beginners. No challeging part is involved for the whole transfer process. Once installed the program, it is only a few clicks away to fully backup the messages, photos, videos or audio.